What are the non-Hodgkin lymphoma subtypes most frequently associated with Hepatitis C Virus? What are the most compelling evidences linking HCV to NHL? How antiviral therapy may be integrated in the therapeutic algorithms of HCV-positive indolent- and aggressive NHL? Beginning from the seminal work by Hermine in 20024 a large number of studies demonstrated that AT is effective as frontline approach in HCV-associated indolent lymphomas when there is no immediate need of conventional treatment. The advent of Direct-acting Antivirals (DAAs) makes this strategy even more appealing, as increasingly consistent data have been presented. 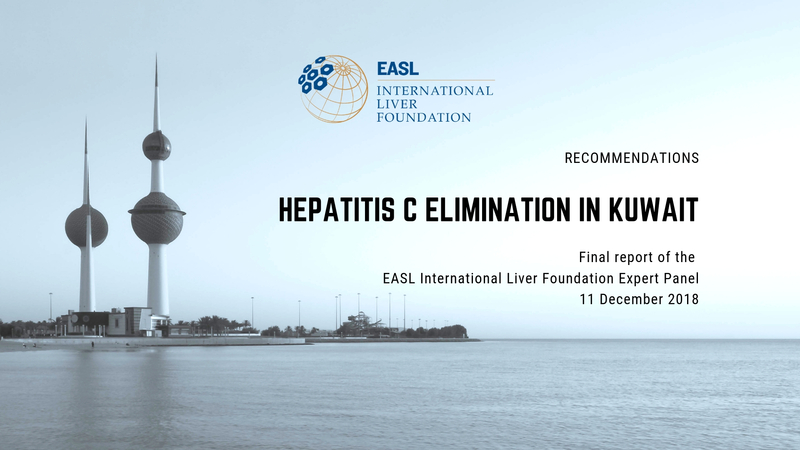 Recently updated haematological (NCCN) and hepatological (EASL) international guidelines recommend this strategy as the first therapeutic choice in this setting. Differently from indolent lymphomas, in HCV-positive DLBCL AT is clearly insufficient and immuno-chemotherapy (e.g. R-CHOP) is required, although HCV eradication after R-CHOP may potentially improve the long-term outcome, as a result of amelioration of hepatic condition as well as possible reduction of relapse rate.5 Moreover, whereas concurrent administration of interferon (IFN)-based AT with R-CHOP was not feasible due to excess of hematologic toxicity, with the advent of DAAs this strategy is become extremely attractive. What lessons we learned about antiviral therapy in HCV-positive indolent NHL in the past IFN-era? The largest series of HCV-associated indolent NHL treated with IFN-based AT as primary lymphoma therapy has been reported in 2014 by Fondazione Italiana Linfomi (FIL).6 First-line AT with IFN or peg-IFN with or without ribavirin (RBV) was delivered to 100 NHL patients who displayed an asymptomatic and slow-progressing disease. AT induced a sustained virological response (SVR) in a high percentage of patients (80%), while an overall lymphoma response was obtained in 77% (44% complete response [CR] and 33% partial response [PR]). Notably, lymphoma response resulted strictly associated to the achievement of SVR. Responses were durable responses (median 33 months) and 5-year progression-free survival (PFS) and overall survival (OS) were 63% and 92%, respectively. Moreover, this study demonstrated that AT delivered at any time during patient’s life (i.e. as first-line or as subsequent line of therapy) is able to significantly improve the survival of patients with indolent HCV-positive NHL with respect to patients who did not receive AT. What are the available data about use of DAAs in HCV-positive indolent NHL? The advent of highly active and tolerable IFN-free DAA-based regimens made even more attractive the use of AT in HCV-associated indolent NHL and afforded the unique opportunity to definitely demonstrate the aethiological link between HCV and NHL by ruling out the possible cytotoxic effect of IFN. After preliminary evidences coming from case reports,7 a recently published international multicenter study on 46 patients affected by indolent NHL or chronic lymphocytic leukemia (CLL) and HCV confirmed the efficacy of DAAs in this setting.8 Ten patients had previously received chemotherapy and 12 a course of IFN-based AT. The majority of patients (n=39) were treated with a sofosbuvir (SOF)-based regimen, while 7 received other regimens. DAAs were associated with an excellent safety profile, with only one grade 3 event (asthenia). A SVR was obtained in all patients except one (98%). Overall, lymphoproliferative disease response (LDR) was 67%, including CR in 12 cases (26%) and PR in 19 (41%). Four patients progressed early, either during (n=1) or within 3 months after the completion of AT (n=3). Among 45 patients who obtained SVR, LDR was 73%, whereas the only patient who did not clear the virus progressed early. According to histologic subtypes, LDR was 73% in MZL and 44% in non-MZL subtypes. Notably, despite the clearance of the virus no LDR was recorded in the 4 patients with CLL, suggesting that in general this disease entity may not be considered HCV-driven. With a median follow-time of 8 months (range 2-30) from start of DAA therapy, estimated 1-year PFS and OS were 75% and 98%, respectively. These results will be further expanded and updated in a series of 97 patients which will be presented at the next ICML meeting in Lugano in June 2017 (Frigeni et al, Abstract 136). On these bases, the FIL launched the prospective phase-II BArT study (B-cell Anti-lymphoma Treatment), which will evaluate the administration of DAAs as primary treatment in 50 patients with indolent NHL associated with HCV infection, with primary endpoint being the SVR and LDR. What are the available data about use of DAAs in HCV-positive diffuse large B-cell lymphomas? Published data about use of DAAs in HCV-associated DLBCL rely only on two clinical reports. The first paper describes two patients achieving CR after R-ACVPB and then treated with SOF and daclatasvir. At 6 months after SVR both patients were in continuing CR.9 The second report illustrates two different cases: in the first one DAAs were used after 3rd relapse concurrently with radiotherapy resulting in a surprisingly durable CR of lymphoma, while in the second one SOF-ledipasvir was started after development of acute grade 4 ALT flare after 2nd course of R-CHOP and allowed rapid resolution of liver toxicity, completion of immune-chemotherapy and achievement of CR.10 At the next Lugano meeting the first large retrospective series of 32 patients with HCV-positive DLBCL treated with DAAs either concurrently (n=7) or sequentially (n=25) to 1st line R-CHOP will be presented (Merli et al, Abstract 197). Overall, 30/31 evaluable patients obtained CR (97%) after immuno-chemotherapy, while 25/27 achieved SVR after DAAs (93%). DAAs were well tolerated, also in patients treated with DAAs concurrently with R-CHOP, and, importantly, prevented hepatic toxicity to immunochemotherapy. Overall these patients showed an excellent outcome (OS 100%, 2-year PFS 93.2%), suggesting benefit of HCV eradication by DAAs either after or during immunochemotherapy in HCV-positive DLBCL. Moreover concurrent DAAs and R-CHOP administration resulted feasible and effective and may prevent hepatic toxicity of immune-chemotherapy. 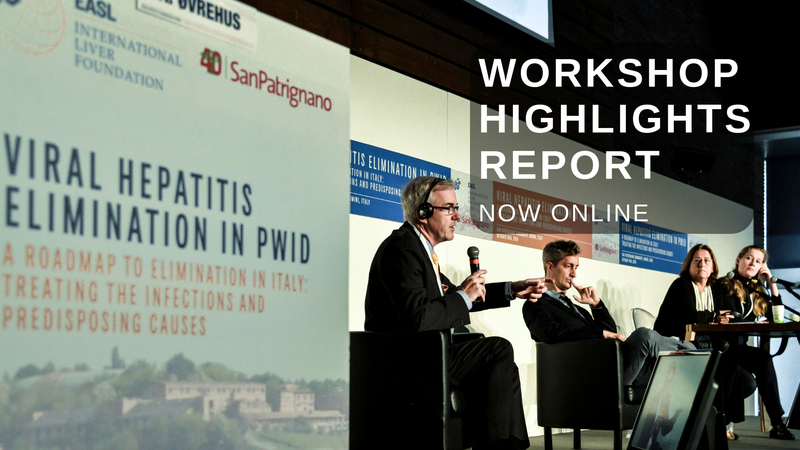 How DAAs did impact the standard treatment of HCV-positive indolent and aggressive NHL? In indolent HCV-associated NHL DAAs induce a high LDR rate and should be considered as the first-line option in patients without need of urgent treatment. In HCV-associated DLBCL immediate delivery of DAAs is recommended in patients achieving CR after 1st-line immuno-chemotherapy, while, in selected cases, especially in those experiencing severe hepatic toxicity, concurrent use of DAAs with immunochemotherapy may be adopted. Prospective clinical trials investigating concurrent DAAs with R-CHOP in HCV-positive DLBCL are eagerly awaited. de Sanjose S, Benavente Y, Vajdic CM, et al. Hepatitis C and non-Hodgkin lymphoma among 4784 cases and 6269 controls from the International Lymphoma Epidemiology Consortium. Clinical gastroenterology and hepatology : the official clinical practice journal of the American Gastroenterological Association 2008;6:451-8. Arcaini L, Rossi D, Lucioni M, et al. The NOTCH pathway is recurrently mutated in diffuse large B-cell lymphoma associated with hepatitis C virus infection. Haematologica 2015;100:246-52. Peveling-Oberhag J, Arcaini L, Hansmann ML, Zeuzem S. Hepatitis C-associated B-cell non-Hodgkin lymphomas. Epidemiology, molecular signature and clinical management. J Hepatol 2013;59:169-77. Hermine O, Lefrere F, Bronowicki JP, et al. Regression of splenic lymphoma with villous lymphocytes after treatment of hepatitis C virus infection. N Engl J Med 2002;347:89-94. Merli M, Visco C, Spina M, et al. Outcome prediction of diffuse large B-cell lymphomas associated with hepatitis C virus infection: a study on behalf of the Fondazione Italiana Linfomi. Haematologica 2014;99:489-96. Arcaini L, Vallisa D, Rattotti S, et al. Antiviral treatment in patients with indolent B-cell lymphomas associated with HCV infection: a study of the Fondazione Italiana Linfomi. 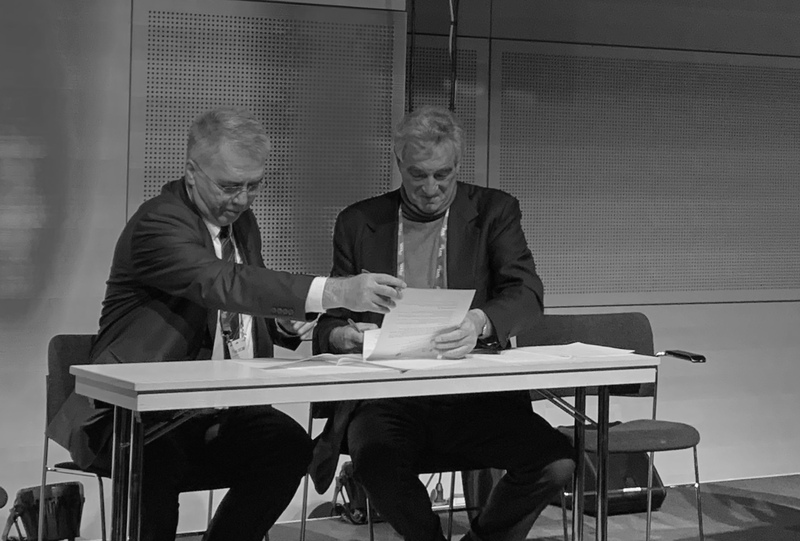 Annals of oncology : official journal of the European Society for Medical Oncology / ESMO 2014;25:1404-10. Rossotti R, Travi G, Pazzi A, Baiguera C, Morra E, Puoti M. Rapid clearance of HCV-related splenic marginal zone lymphoma under an interferon-free, NS3/NS4A inhibitor-based treatment. A case report. Journal of hepatology 2015;62:234-7. Arcaini L, Besson C, Frigeni M, et al. Interferon-free antiviral treatment in B-cell lymphoproliferative disorders associated with hepatitis C virus infection. Blood 2016. Carrier P, Jaccard A, Jacques J, et al. HCV-associated B-cell non-Hodgkin lymphomas and new direct antiviral agents. Liver international : official journal of the International Association for the Study of the Liver 2015;35:2222-7. Merli M, Frigeni M, Gotti M, et al. Direct-acting Antivirals during or after Immuno-chemotherapy in Hepatitis C Virus-positive Diffuse Large B-cell Lymphomas. Hepatology 2017.